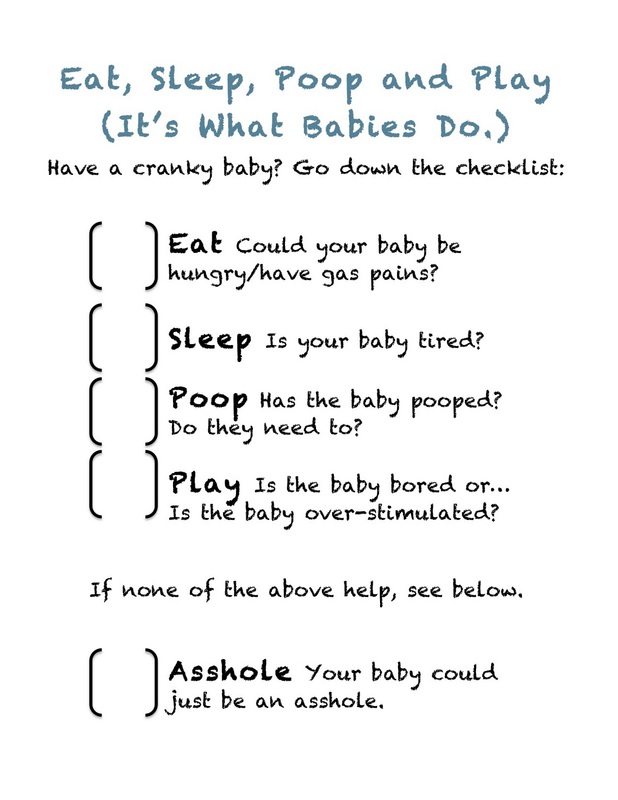 I often found, when faced with my crying newborn, that I just kind of froze and had no idea what the problem could be. It was like all time and space stopped and my mind was a complete blank. It was just me and a crying bag of goo that needed something. What that something was, I was too far gone on The Postpartum Crazy Train to figure out. I found that this list helped me. Hope it helps you, too.